Entertainment Weekly in Port Huron features news about some of the exciting events and activities in the city of Port Huron. Listen to WGRT 102.3 FM every Tuesday. 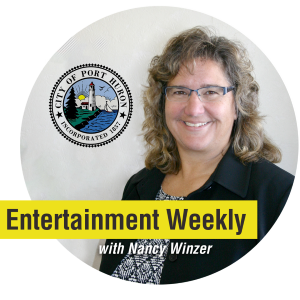 Entertainment Weekly in Port Huron is hosted by Nancy Winzer, Port Huron Parks and Recreation Director. Visit porthuronrec.com.